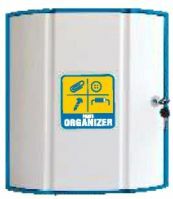 Best Small Parts organizer system available. 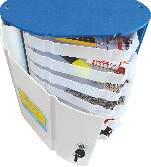 Pivoting drawers for easy accessibility to parts stored. Store small electronic parts, hardware, stationary etc. System with 6 drawers of height 35 mm with two partitions to divide into two or three sections. System with 4 drawers of height 55 mm with two partitions to divide into two or three sections. System with 3 drawers of height 80 mm with two partitions to divide into two or three sections.